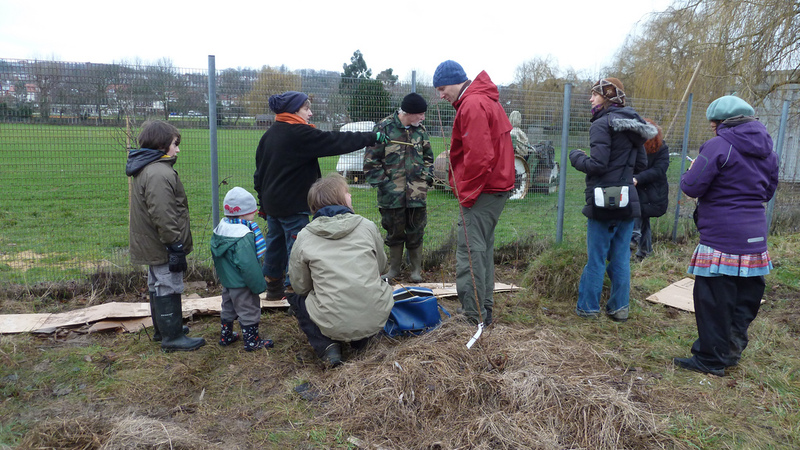 Meadow Orchard Project welcomes volunteers. Help is always needed to take-care of the site, garden, orchard, wildlife habitats and other projects. All ages and abilities are welcome. Children under age 16 must be accompanied by an adult. There will be a range of tasks to be done – from the easy and light, to the more physical or technical. There will always be a volunteer site leader on hand to ask for guidance. Please go at your own pace and do what you are comfortable with. We’re open most Saturdays from 12pm to 4pm and often stay later in summer. Please check the events page for open days. You can help out with any of these activities or just visit to enjoy being in a relaxing natural setting.